By their nature, data centres consume power. Minimizing that consumption and its associated costs is a topic in itself, but for today ask yourself if you’ve taken all the steps you can to ensure your data centre is working as efficiently as possible. In many cases, you can enjoy meaningful power reductions by digging into settings in operating systems such as Windows Server, xBSD, Ubuntu Server or Red Hat. Balancing performance and power consumption in this way can cut operational electrical costs in half, and it’s something you can quickly check off your list of resolutions. Resolution #2: Archive your data. Setting up automated data archiving can improve the performance of production servers by ensuring they only store critical data. The archived data is important too, of course, and can be structured to make finding particular items easier, such as emails or instant messages that might need to be retrieved in the course of a legal e-discovery process. That scenario might seem unlikely, but preparing for it now could save headaches down the road. Your organization can enjoy better data centre performance now, and feel secure that it’s ready to call up archived data later in the event of legal review. Resolution #3: Converge your infrastructure. In many cases, data centre assets are siloed, with compute, networking, and storage resources deployed separately. Optimizing this type of data centre has become increasingly challenging as employees expect IT services wherever they are and on whatever device they’re using. The new converged data centre model helps address this by pooling resources. Hardware for compute, networking and storage is shared, allowing IT teams to deploy additional resources where they’re needed. Because servers can be deployed faster in these converged data centres, teams have more time to spend on other tasks. Considering all these benefits, it might be time for you to converge your data centre and make it more agile and cost-effective. Resolution #4: Consider the cloud. The potential cost reductions associated with cloud services are attractive, but the greatest rationale for moving away from on-premises servers might be how well the cloud enables modern work styles. In the past, it was typical for IT services like storage and processing to be accessed locally. Now, people expect to be able to work anywhere they have an internet connection, which can be supported from the cloud. If your organization hasn’t shifted IT resources to a hybrid cloud environment, this might be the year to do it. Resolution #5: Future-proof your infrastructure. As you grapple with meeting your organization’s current needs, don’t lose sight of the bigger picture. Think about the organization’s growth and consider a data centre refresh. Newer technology will not only let you scale out the data centre more easily, as growth requires, but will also provide greater agility in other ways, such as the ability to deploy more virtual machines. Make a resolution to improve your data centre infrastructure for today and tomorrow. 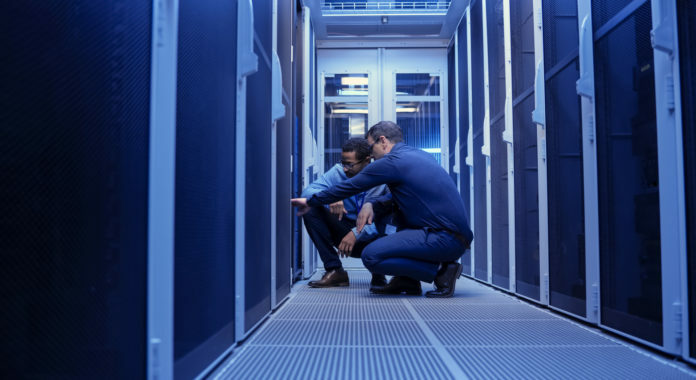 As you set your IT priorities for 2019, consider what you can do to make your data centre efficient, flexible and cost-effective – and resolve to take action. 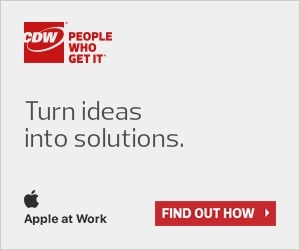 To learn more about CDW’s data centre solutions, visit our Data Centre page. Next articleWhat is an Application Centric Network?